There can be no better way of viewing roses and companion plants, than from our two acre display gardens. Therefore we have careully put together a range of specially tailored tours and refreshment packages. These tours are led by one of our dedicated team of experts and offers an interesting and informative look at not only our gardens, but also the history behind our roses. Our Seasonal Garden Tours are available throughout the year, Monday to Friday. Although our gardens are at their best during the summer when the roses are in full bloom, our gardens have been carefully planted to provide interest throughout the year. With this in mind our dedicated team of experts have put together a very informative tour/talk adapted for the time of year that you choose to visit. On the tour a member of our team will greet you on arrival, briefing you on the layout of the nursery and giving you a moment to stretch your legs before your guided tour begins. You can be assured that whatever time of year your visit falls; there will be colour and interest within our extensive three acre gardens. The tour also includes a practical demonstration apt for the season and a chance for you to ask any burning questions. The tour lasts approximately 1 hour and costs £5.00 per person (min 15 people). Available Monday to Friday from June to September. This tour is exceptional value and includes tea/coffee and a slice of delicious cake which is served within our beautiful marquee, during which one of our knowledgeable Rosarians gives an informative practical demonstration. A full guided tour around our picturesque display gardens follows, with a question and answer session at the end. The cost is £7.00 per person (minimum 15 people). Start times are 10.45am or 2.45pm. Please allow at least one and a half hours. If your group is looking for a longer visit, why not combine our seasonal garden tour with a mouth-watering two course set lunch. Served in our beautiful marquee this tour gives your party the opportunity to relax and lunch within the gardens. The cost is £18.00 per person (minimum 20 people). Please allow at least two and a half hours. For all group menu options please contact a member of The Tea Room and restaurant staff on 01953 454707 option 4. 11.30am – Upon your arrival you will be met by a member of our team who will brief you on the layout of the nursery advising you where to meet for the beginning of the tour, you will then have some time to stretch your legs and get a feel for the place, perhaps enjoy a coffee in The Tea Room? 12.00pm – Your full guided tour will begin. 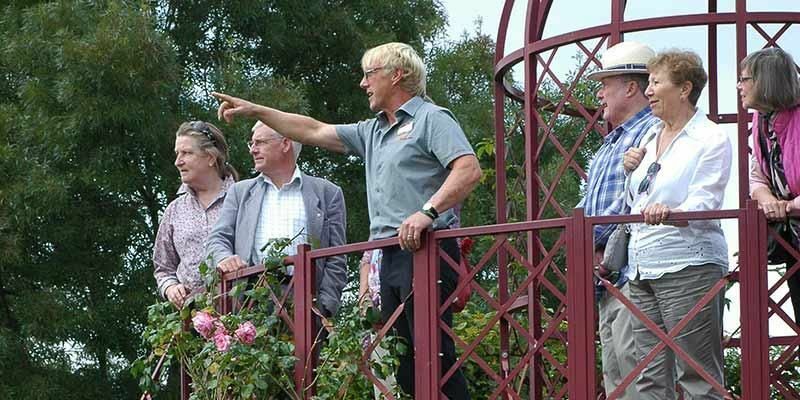 One of our experts will walk you around our extensive two acre display gardens pointing out particular roses of interest, giving you some practical tips on how to get the best from the roses in your own garden, at the same time giving you an insight in to the history behind Peter Beales Roses. The tour will then complete with a practical demonstration and time for any questions to be answered. 1.00pm – Your mouth watering two course lunch will then be served in our beautiful licensed marquee set amongst the roses. 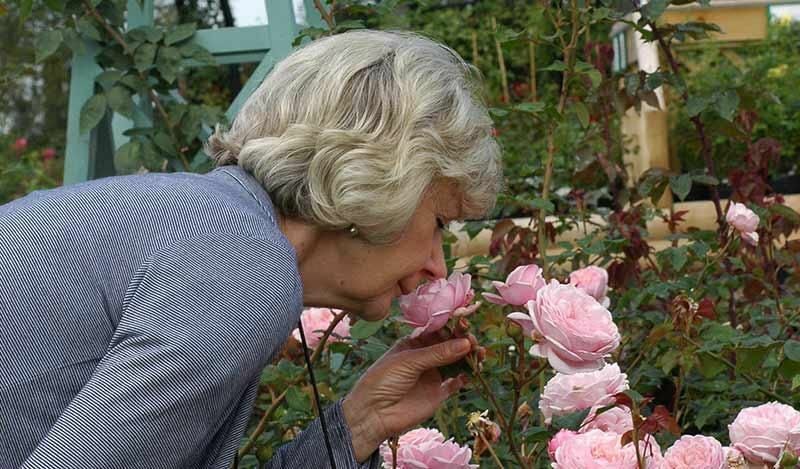 2.15pm – A chance for you to walk around the gardens at your own leisure, giving yourself time to wander around the garden centre shop where you will find a varied range of quality rose themed gifts and gardening products to help you to get the very best from your own gardens.